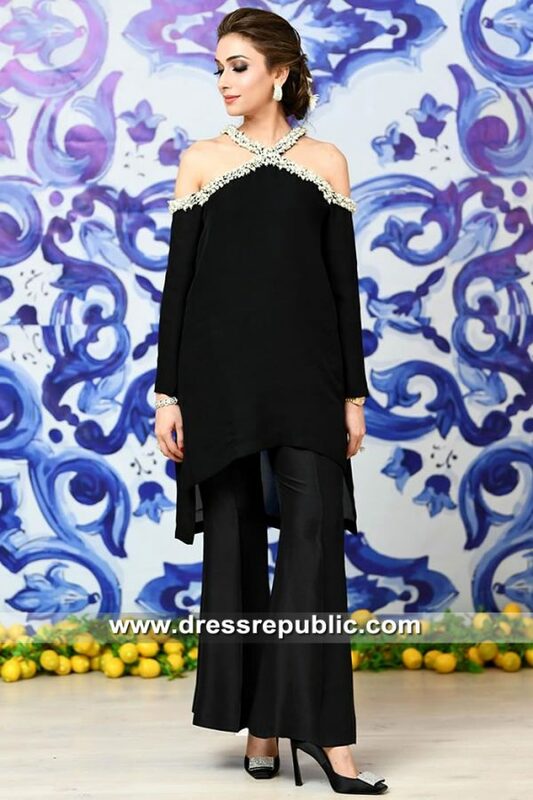 Top: Black silver chiffon long shirt has heavy embellishments and stones embedding work on the neckline. Burgundy floral thread motifs placed in sequins from top to bottom. Three traditional ornamental motifs placed on front. Sequins spot work on the hemline. Stand collar neckline with straight tab inside. Super-soft lining. Hidden zipper at back. Piping edge. Bottom: Black silver crepe silk churidar pajama. Buttoned cuffs. Hidden zip closure. Dupatta/Shawl: Dark beige crushed chiffon dupatta has burgundy applique border around the hemline. Embellishments made with sequins, beads, Swarovski crystals, diamantes, rhinestones, pearls, badla, cut-glass, kora, dabka, resham and marorri. 100% natural pure fabrics. Fully handmade embellishments. 100% same as shown. 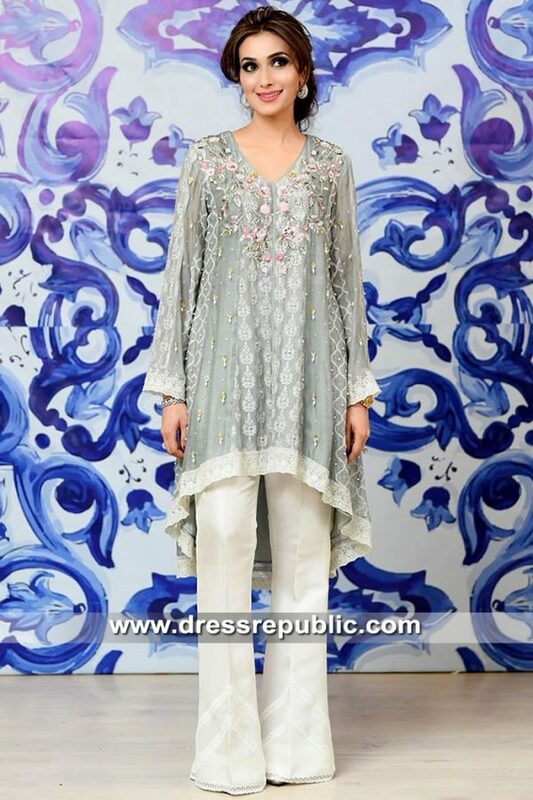 Dress Republic is an online based upscale fashion store known for its elegant haute couture, lehenga choli, party wear, menswear styles and online presence all over the world. Through our extensive network and manufacturing setup we offer high-end women's and men's fashion to consumers all over the world. Copyright © 2004-2019 by Dress Republic Inc. ® All rights reserved.